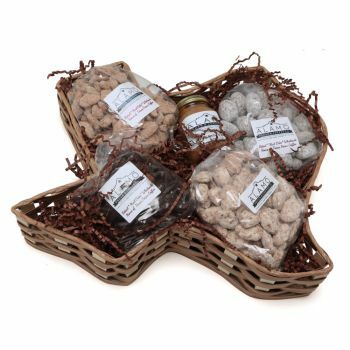 We never spam and we only keep you updated on our latest & greatest deals & achievements! 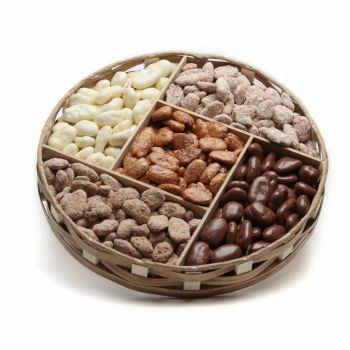 Our popular Divided Wicker Tray comes in Regular & Mini sizes. 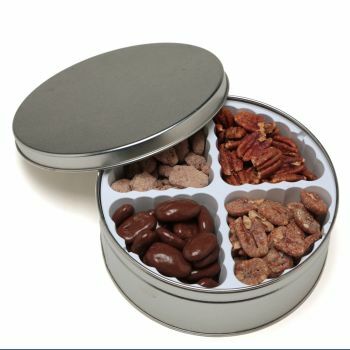 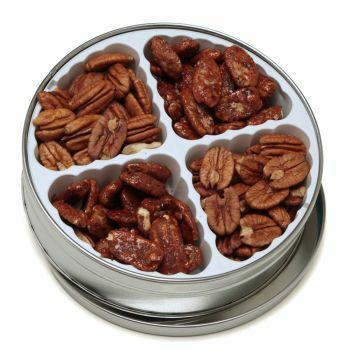 Both sizes include four flavors of pecans, plus our delectable pecan clusters. 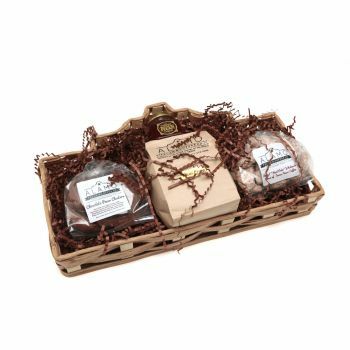 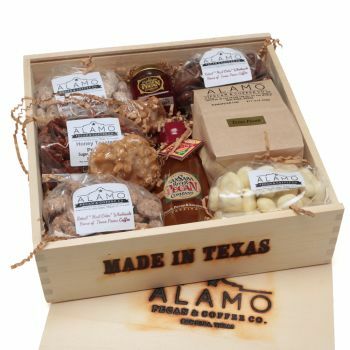 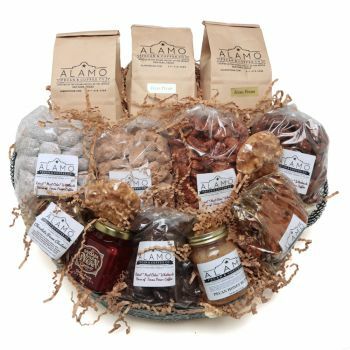 If you feel like a genuine taste of Texas, this authentically-western Divided Wicker Tray is filled with 100% Texan pecan treats. 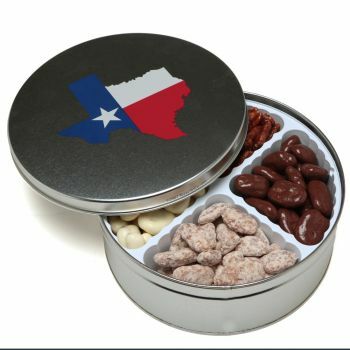 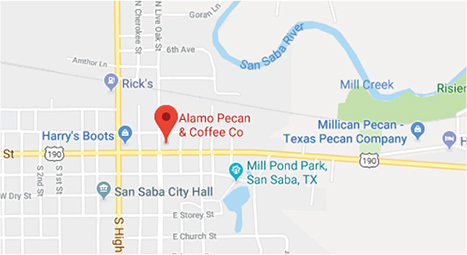 It’s a tasty dose of the Lone Star State, and comes with four of Alamo Pecan & Coffee Co.’s most popular flavored pecan varieties, topped with our caramel pecan clusters. 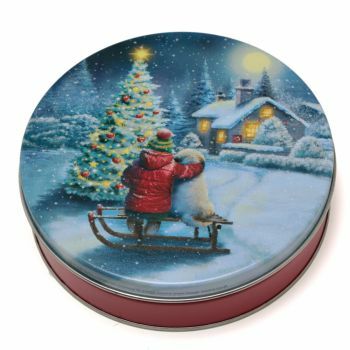 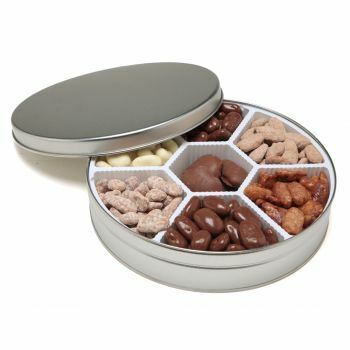 It makes a great corporate gift. 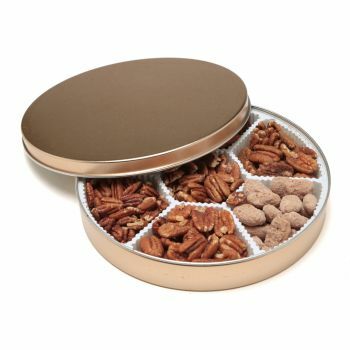 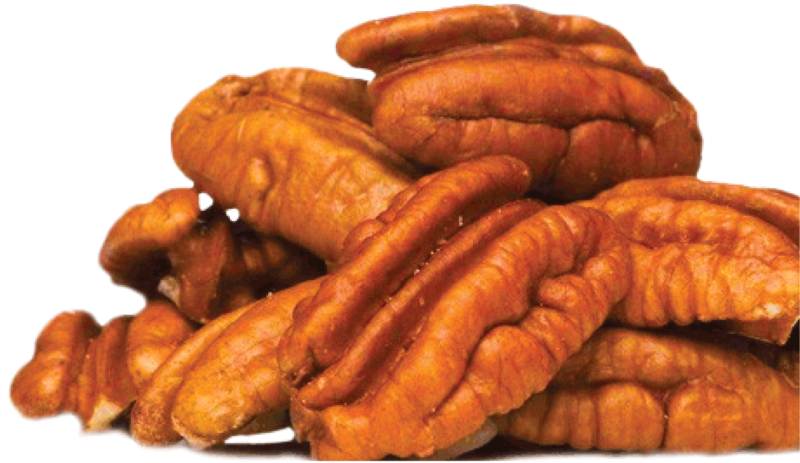 Plus, you get the bonus of a reusable wicker tray, that can be used long after the pecan treats are scooped up and enjoyed.